Samuel Peacock was born about 1668 in Surry County, Virginia and died about 1742 in Albemarle County, North Carolina. Dates for birth and death are estimated. He lived to be about 74 years old. While documentation has been found to authenticate Samuel and his descendants, no such documentation exists to verify his parents. The parents and siblings shown on this website are currently a 'best guess' and not necessarily correct. A reward is currently being offered to anyone who can prove the identity of Samuel's father. To learn more about the reward, visit the Peacock Association of the South�s website. Click on any of the News, Events, or Discoveries buttons above to see historical things that happened during Samuel Peacock's life. These are only some of the major events that affected the life and times of Samuel, his family, and friends. For example, Samuel is 2 years old when In March, the first permanent settlement in South Carolina is established at Albemarle Point (Charles Town, SC). 4 1672 The laws of gravity are defined by Isaac Newton; France invades Rhine as Dutch open dikes to flood Amsterdam to keep it from falling under French rule. 36 1704 First town, Bath, is established in North Carolina by the arrival of the French Huguenots. 43 1711 The Tuscarora War begins between the local Indians and colonists. After two years of fighting, the Tuscarora Indians move west. 50 1718 Blackbeard, the pirate is killed off the North Carolina coast. 51 1719 By 1719, North Carolina and South Carolina have separated into two colonies. 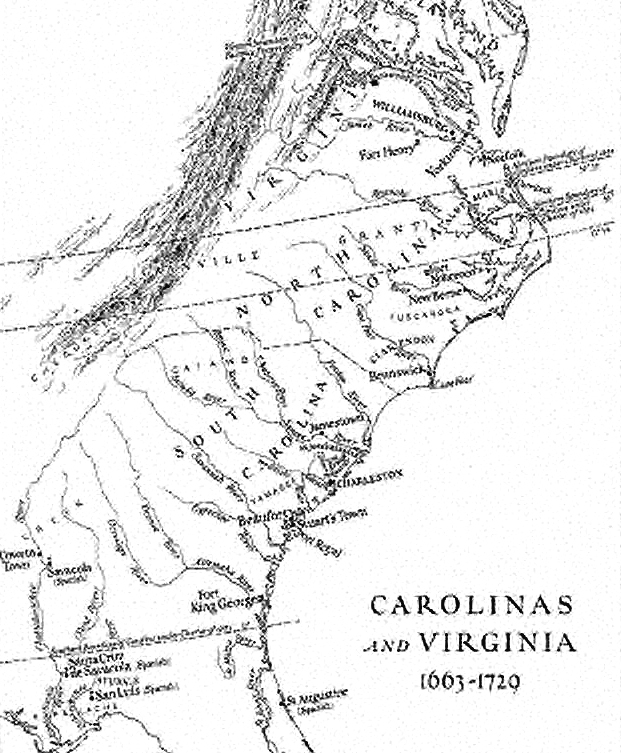 2 1670 In March, the first permanent settlement in South Carolina is established at Albemarle Point (Charles Town, SC). 13 1681 Pennsylvania is founded after William Penn, a Quaker, receives a Royal charter and land grant from King Charles II. 32 1700 By the early 1700's, Virginia and Maryland have established a strong economic and social structure. The planters of the tidewater region, with abundant slave labor, have large houses, an aristocratic way of life, and a desire to follow the art and culture of Europe. Less wealthy German and Scots-Irish immigrants settle inland, populating the Shenandoah Valley of Virginia as well as the Appalachian Mountains. Those on the frontier build small cabins and cultivate corn and wheat. 64 1732 James Oglethorpe establishes the Georgia Colony in the new world. The new settlers form friendships with the Creek Indian Nation towns in this area. Georgia is the thirteen English colony to be settled. 21 1689 England's Bill of Rights created. European Nine Year's War begin and grows into a world-wide event. It ends in 1697. 39 1707 Scotland and England unite to form "Great Britain"
Born about 1675 and died about 1719. Born somewhere in Virginia about 1689 and died somewhere in North Carolina about 1782. He was about 93 years old. 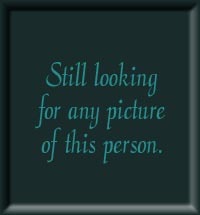 Born in Surry Co,, Virginia about 1705 and died in Johnston, near Wayne County Line, North Carolina about 1793. He was about 88 years old. Born somewhere in North Carolina about 1706 and died in an unknown location about 1795. He was about 89 years old. Born somewhere in Virginia about 1707 and died in an unknown location about 1791. He was about 84 years old. Born in Wayne County, North Carolina about 1712 and died in Wayne County, North Carolina about 1791. He was about 79 years old. Born in Albermarte County, North Carolina about 1720 and died in an unknown location about 1795. He was about 75 years old. Born somewhere in Virginia about 1732 and died somewhere in North Carolina about 1805. She was about 73 years old.